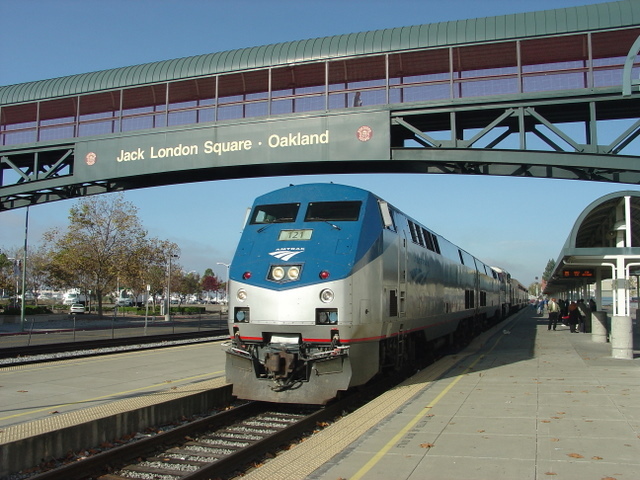 Amtrak California Capitol Corridor, Cal Train, Altamont Commuter Express, all at San Jose, CA. Amtrak Coast Starlight arriving in Oakland, CA. TrainWeb.com has been a member of TRAC longer than I have been associated with TrainWeb. 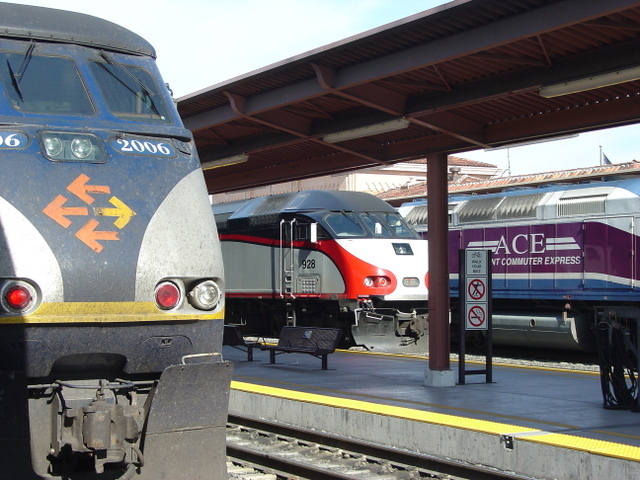 This is my fourth year to report on their Annual California Rail 2020 Conference, which is held alternately in Northern and Southern California. This year's Conference was held in Oakland, California. Executive Director, Alan C. Miller, has always placed the Conference at facilities reachable by rail, and I have always taken California Rail to the event, thanks to TrainWeb.com. Next year's California Rail 2020 Conference will be in San Diego! Join TRAC now and receive the California Rail News during the year and learn about the 2007 conference details. Click TRAC above to join and learn about the organization, or write to 1008 Tenth Street, #276, Sacramento, CA 95814, or call 916-557-1667 or email: trac@omsoft.com.